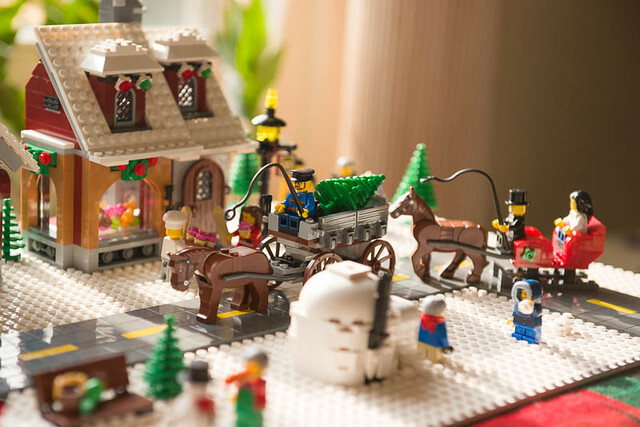 I've posted before about our Lego Christmas Village - it all started three Christmases ago, when we bought Santa's Workshop. 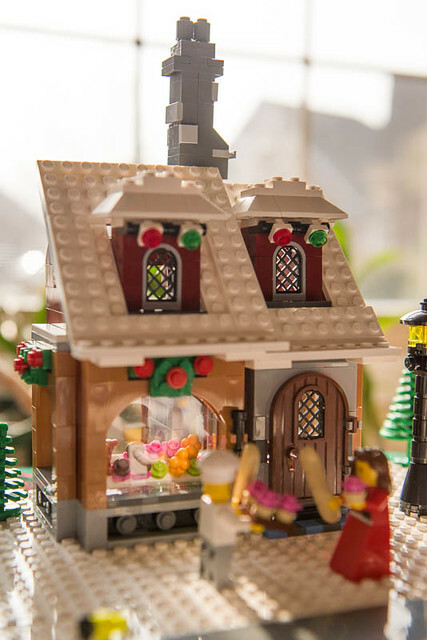 Last year we added The Bakery. My son was so excited about the prospect of creating a winter scape that he designed "Main Street" - the base for all the shoppes and holiday revelers to gather. 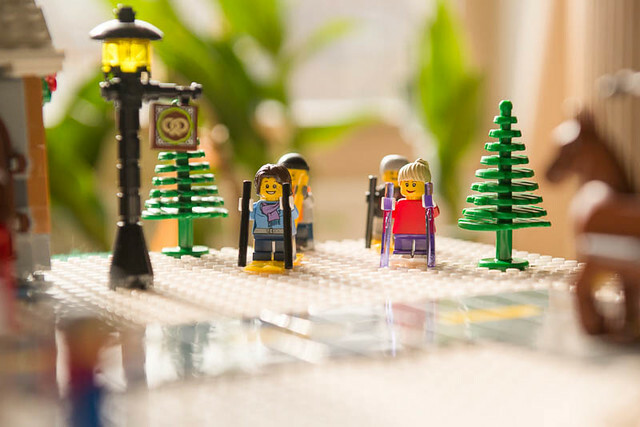 Lego had a custom design site where you built your virtual, custom Lego creation - then you could buy all the pieces and create the actual thing at home. So the boy measured out how big our village was going to be, designed a road (complete with a bend in it) and ordered the pieces required to build it. 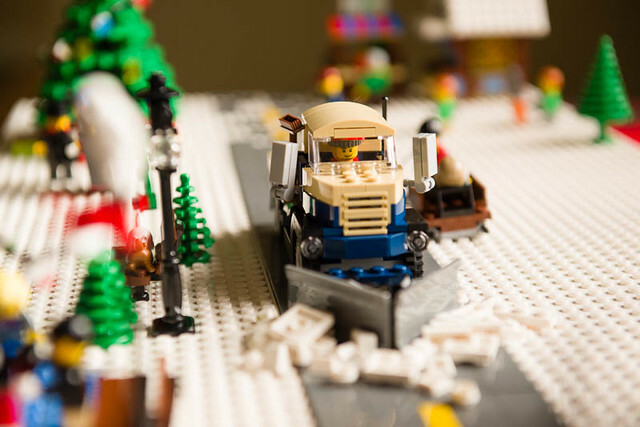 The buildings are Lego Sets you can buy - my son only designed the road that runs through Main Street. And he sets up where everything goes (which takes a lot of planning on his part!). Here's our busy Main Street - the horse carriages are popular this year. Coming right at the horses - the modern snow plow - this came with our new Winter Cottage. I don't have a picture of the completed Winter Cottage because it just got set up yesterday and these pictures were taken the previous week - I hope to get it done this week along with addressing Christmas cards, making cookies and the list goes on and on! It is so completely charming. I love what your sons have created...it looks terrific. Wait a minute...just one son created all that? Wow! It's just so beautiful. 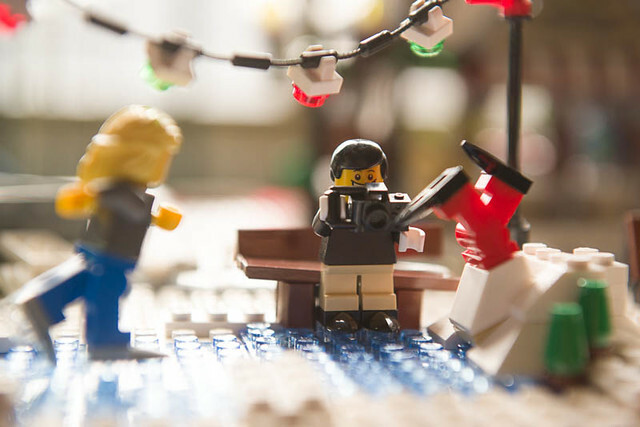 You have to wonder why Lego discontinued this. :-( So glad you ordered it when you could. 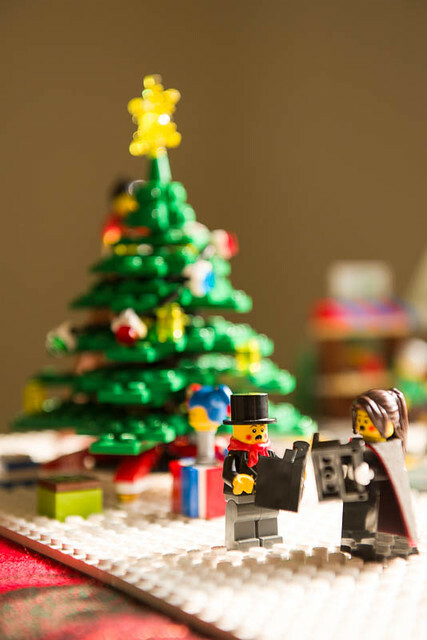 That is just the cutest thing I've ever seen with Legos! Well....I better be careful saying that! 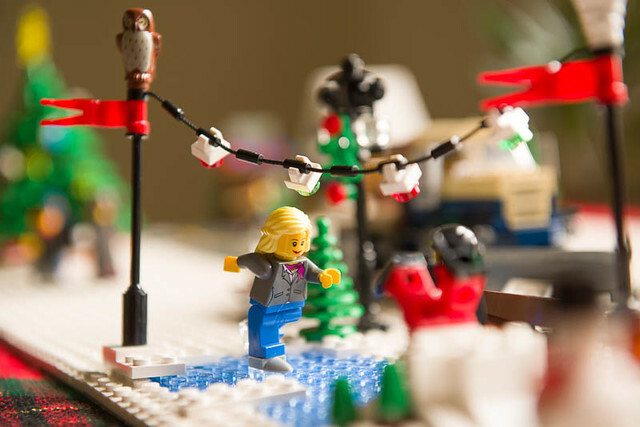 My 4 sons grew up playing with Legos and they built some pretty imaginative things! In fact, I'll send them a link to your post! They are all grown now but I happen to know they still play with Legos! heehee! Happy Holidays! A beautiful holiday creation indeed! Mercy me... how adorable is that!! 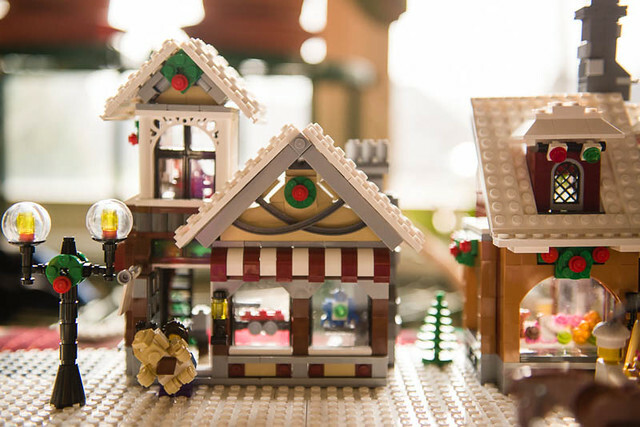 I love your Lego village. I've never seen it before. How fun to have something you share with your family each year. Merry Christmas. I absolutely love it!! 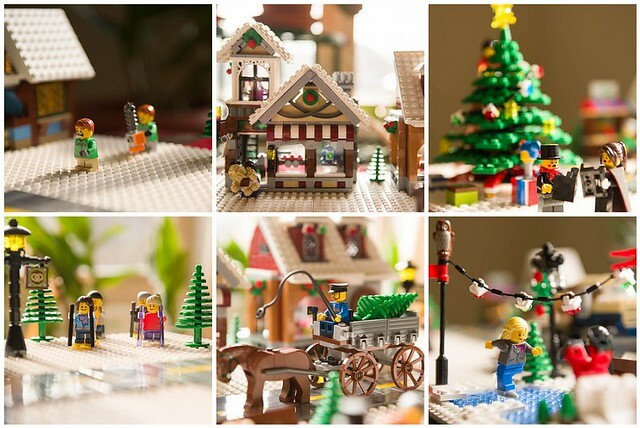 I want a Lego Christmas village.